Drusilla Dunjee Houston was born on January 20, 1876 in Harper's Ferry, West Virginia. Her parents were Rev. John William Dunjee and Lydia Taylor Dunjee. 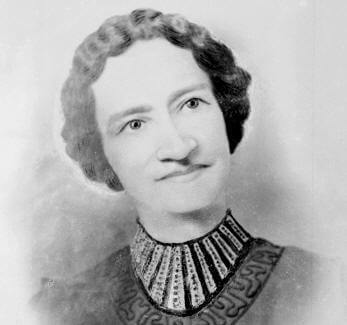 Her father was influential in the American Baptist Home Missionary Society and traveled throughout the country establishing Baptist congregations in areas inhabited by poor Black rural dwellers. During these times Houston lived in numerous states on the Eastern Seaboard, in the South, the Northeast and finally the Midwest in Oklahoma. Houston and was one of ten siblings, only five of whom lived to adulthood. The other survivors included Roscoe, Irving, Blanche and Ella. The most famous of her siblings was Roscoe Conkling Dunjee, Editor of the Oklahoma Black Dispatch, an influential mid-western newspaper with national prominence. Houston was Contributing Editor but assumed major responsibility in keeping the paper financially solvent, while at the same time conducting her own research and writing on various historical and social matters. Like many African American women writers swallowed up and languishing in the historical gap, Houston is one of the most prolific and all but forgotten African American women writers of the 20th century. Considered a “historian without portfolio” and dismissed as a serious historian and writer by leading Black male historians of Post Emancipation and the Harlem Renaissance, e.g., W.E.B. 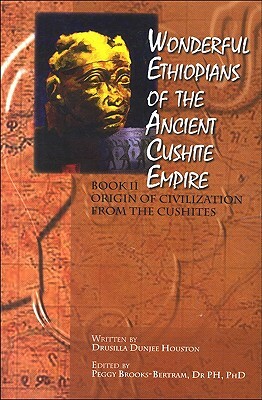 DuBois, Alaine Locke, Carter G. Woodson and others, Houston burst on the historical literary scene in 1926 with Volume I of her magnum opus Wonderful Ethiopians of the Ancient Cushite Empire Book 1: Nations of the Cushite Empire, Marvelous Facts from Authentic Records thought to represent the crowning achievement of Drusilla Dunjee Houston’s literary life. With this work, Houston is remembered as the earliest known and possibly the only African American woman to write a multi-volume study of ancient Africa where she boldly proclaimed in 1926, an African origin of civilization and culture during one of the most turbulent periods for black Americans in American history. Through this work, Houston left her own mark as a pioneering advocate of the study of Africa, especially ancient African history and is credited with creating a Pan African framework proclaiming the African origin of civilization. 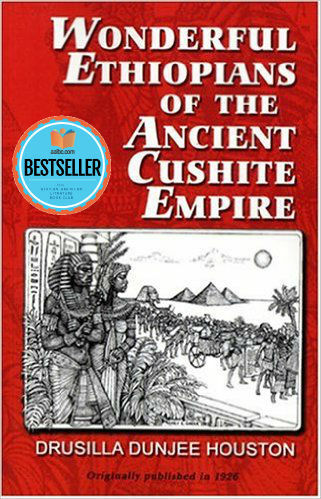 Obadeli Williams in a review of Houston’s second book noted that: “the Cushitic background and origin of the ancient Egyptians recorded by Dunjee-Houston has been confirmed by Cheikh Anta Diop’s 12 categories of evidence of their African origins. Fifty years before Martin Bernal’s Black Athena (1984) and a generation before George G.M. James Stolen Legacy (1954) while predating Diop’s African Origin of Civilization: Myth or Reality? (1974) by 40 years; Dunjee-Houston pioneered African-centered historiography. Dunjee-Houston is indeed the foremother of Africana historical writing and research. She sought to burst asunder vestiges of notions of the “Dark Continent” in both academia and among the lay populace. Her second book Wonderful Ethiopians Book II: Origin of Civilization from the Cushites created a wedding between the adherents of the Garvey movement and the Harlem Literary Renaissance. Tell us how much you like Drusilla Dunjee Houston.